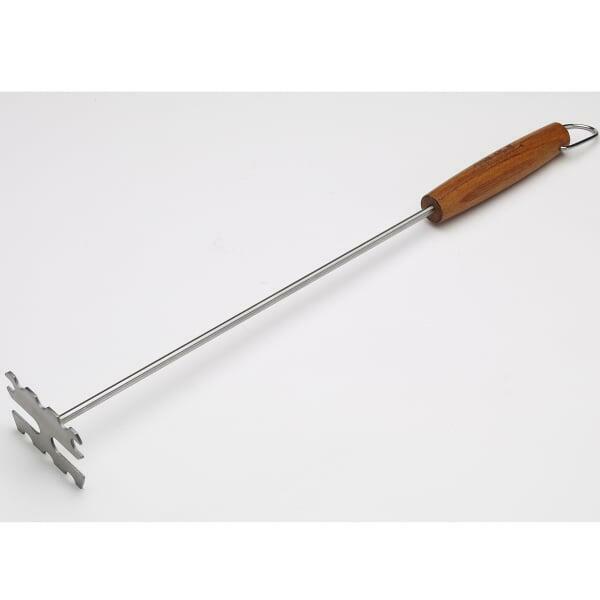 The Barbecue Grate Scraper by Bull Grills will cleans both sides of your grill's grates at the same time. Save time and energy, but insure that your grill grate is clean and ready to cook at all times. It would be a sin against grilling not to! Simply put, a grill scraper is an essential grill accessory, and this one does the job twice as fast as traditional Grate Scrapers. This Grill Grate Scraper matches all Bull Grills.